I shop on boohoo all the time especially recently! They always have really nice clothes at decent prices. They've got a nice range of jumpsuits at the moment too! The only reason I don't shop at Boohoo is that I have an ASOS premier account, so it seems silly to shop somewhere where I have to pay for postage! Just a lovely outfit. 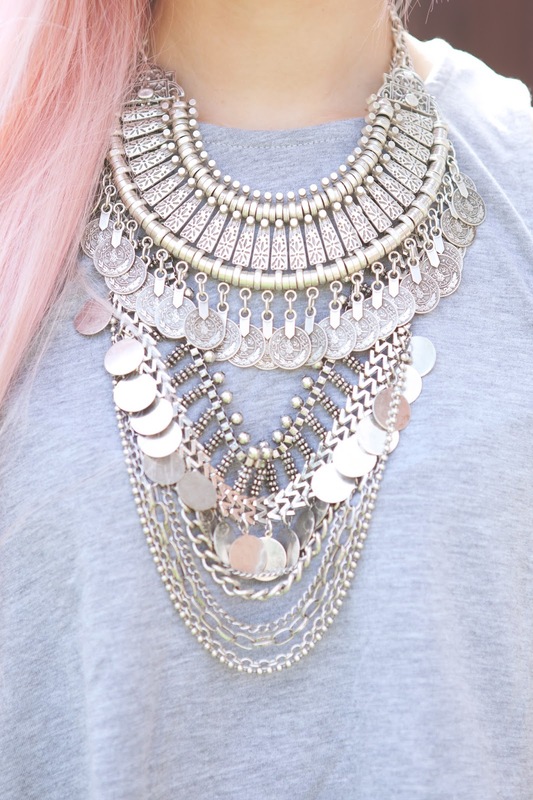 Love the basic outfit make amazing with jewellery! I've never really shopped at boohoo myself, I definitely need to check them out soon.